The best wrestling on the planet is about to invade your figure collection! 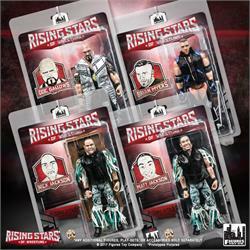 The first ever line of Ring of Honor action figures and accessories is being released by Figures Toy Company! Place your order now for the official Ring of Honor Wrestling Ring! 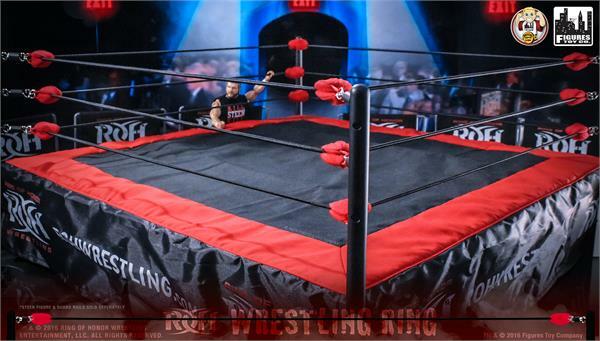 The design of the this action figure ring is based on the actual ROH ring, where so many battles have taken place. Now, you can reenact classic matches and create some of your own with this sensational set! 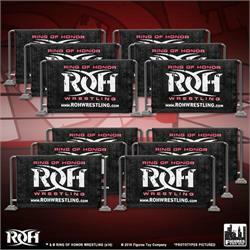 The Ring of Honor Wrestling Ring measures 21.5 inches x 21.5 inches, and it features cloth turnbuckles, a high quality foam ring mat, and the ROH logo ring apron. This ring is the perfect battleground for all of your Ring of Honor figures, and is compatible with other wrestling figures from the past and present as well! Included with the Ring of Honor Wrestling Ring is an exclusive action figure to help kick off your collection. 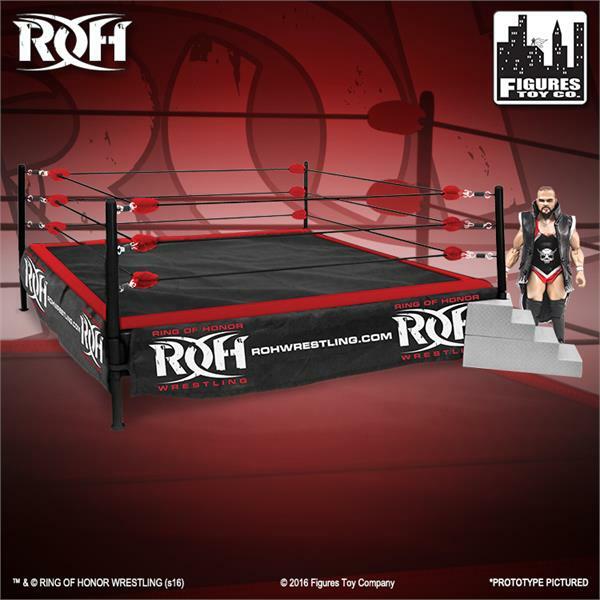 The first ever action figure of former Ring of Honor World Champion MICHAEL ELGIN is included with this playset! "Big Mike" comes dressed in an authentic cloth singlet and removable ring robe with designs based on his official wrestling attire. This is the only way you'll be able to get the figure of the popular powerhouse that has dominated opponents in Ring of Honor and New Japan Pro Wrestling! Don't miss this chance to own the debut figure of the star that is taking the international wrestling scene by storm with hard-hitting offense and a never say die attitude! It's time to collect the wrestling figures that fans have been waiting for! 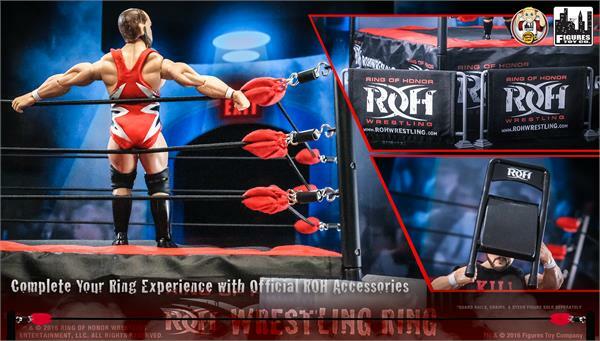 Order the Ring of Honor Wrestling Ring & Exclusive Michael Elgin figure today! *Please note that some assembly is required for this product.